Went into boots store in derry foyleside with the girlfriend and she spotted this deal. said it was a cracker of a deal so it was to be sure lol so she bought 2 bottles. 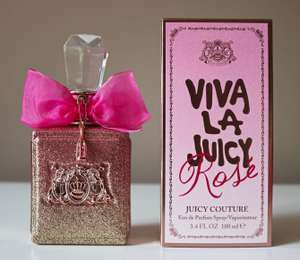 the perfume comes up at £50 online in boots and The perfume shop, not sure about elsewhere but for £10 ya cant go wrong. Maybe national as it said £10 on the shelf next to the other juicy perfumes. Super deal. Thanks for sharing.